木の国サイト情報館 / Kino-Kuni Site Sight Information Pavilion | 北川原温建築都市研究所 | Atsushi Kitagawara Architects Inc. 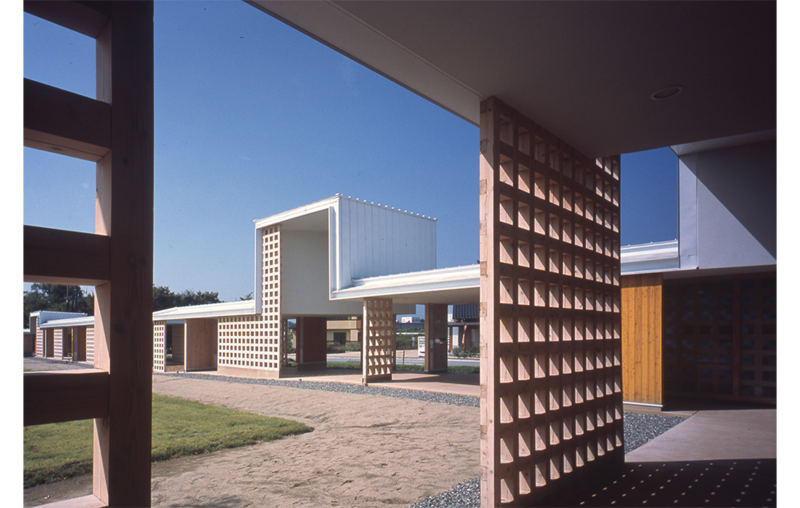 The Kino-Kuni Site・Sight Information Pavilion is located within the Yamanashi Central Supply Center of Prefecutural Wood. 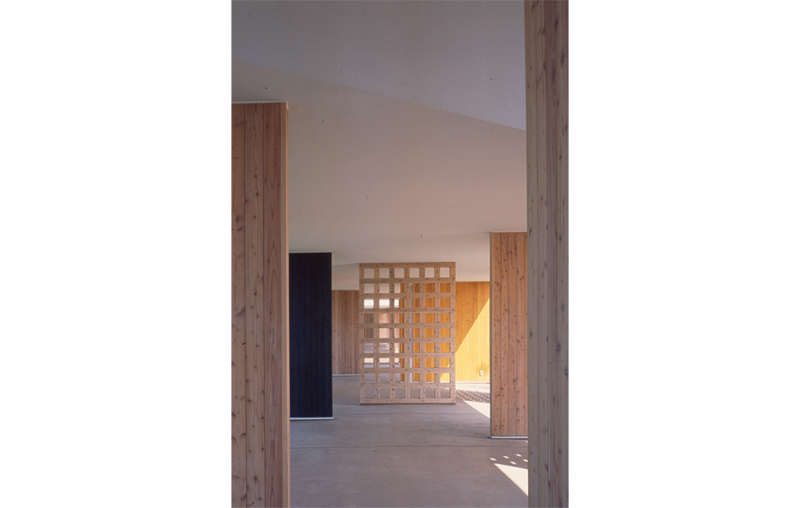 Exhibiting, training, and cultural interexchange concerning wood are the main activities of this core facility. 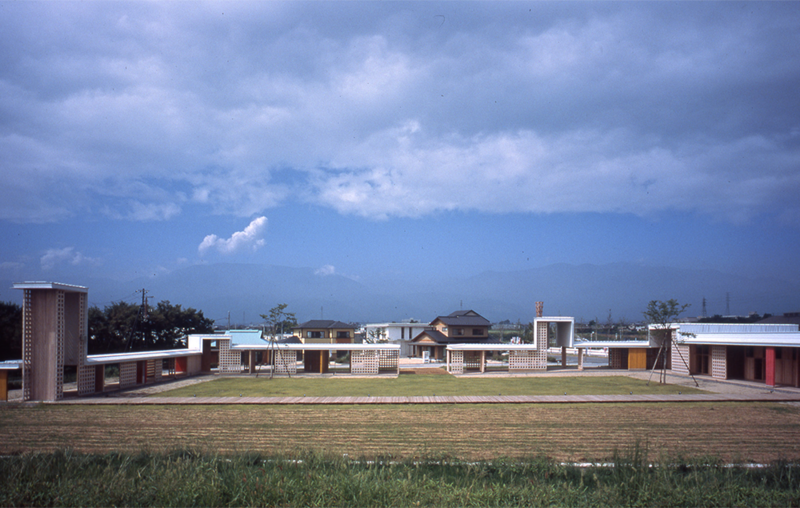 Inspired by the regional geography of the Kofu Basin, Yamanashi, analyzed as an enclosed openness, the spatial potential of the site was planned to be extracted by enclosing its existing open character, by the creation of an “Open Gallery”. 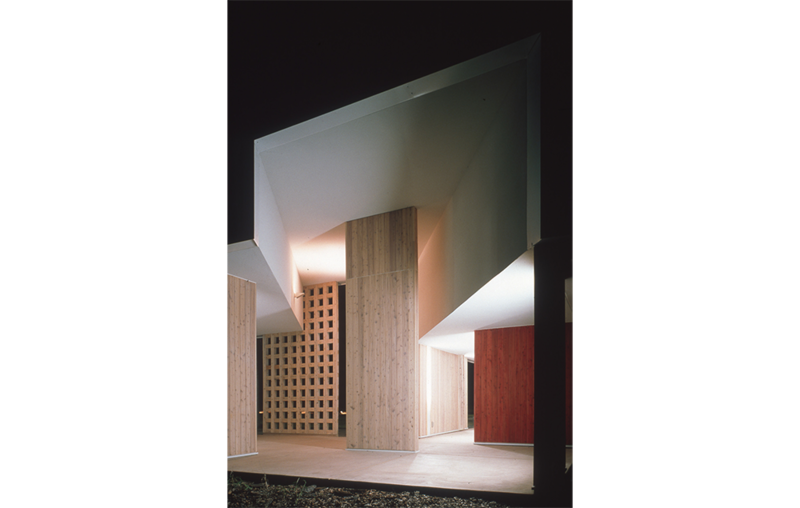 This corridor formed space was planned to be a prototype of new wooden architecture constructed of regional thinning wood. The Open Gallery is composed of a continuous roof that bends up and down continuously, under which lattice-frame seismic walls and wainscot walls are placed rhythmically. 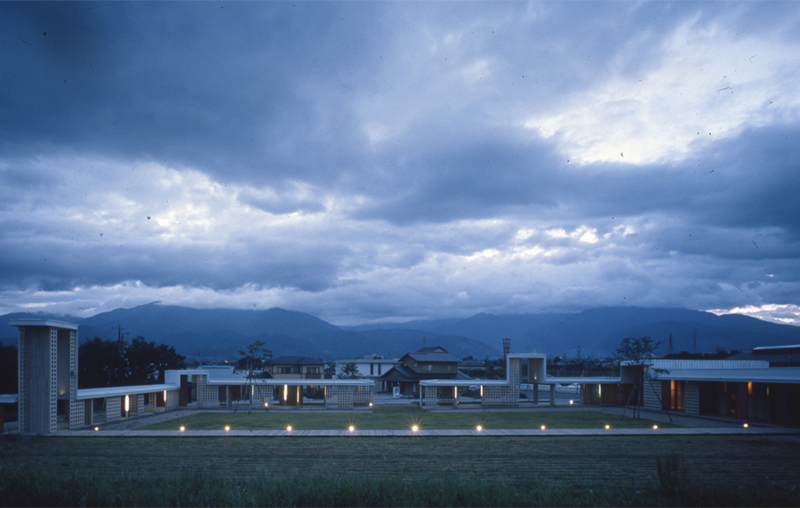 The Open Gallery forms a multipurpose court of lawn, with one side open to the bank of the Kamanashi River and its greenery. Here various events take place, such as promotions of timber and greenery, and also regional festivals and open-air markets; it is a space for regional interchange centralized around wood.